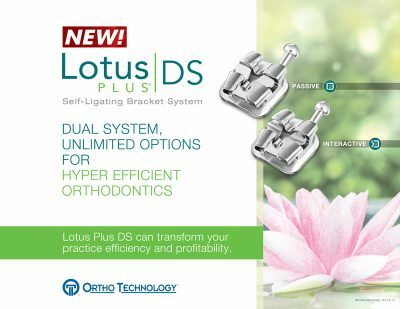 Designed by an Orthodontist, Lotus Plus DS Hybrid is a self-ligating bracket system with major enhancements over its predecessors. 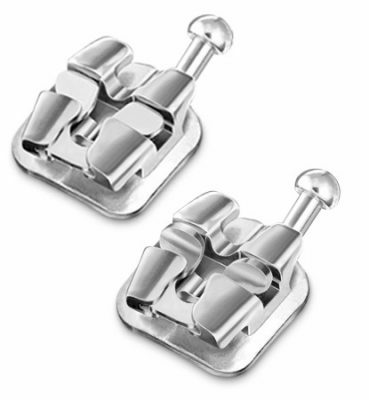 It was created to address the many deficiencies of self-ligating brackets in the industry, and we preserved a familiar twin-wing design so you can treat cases with more ease. 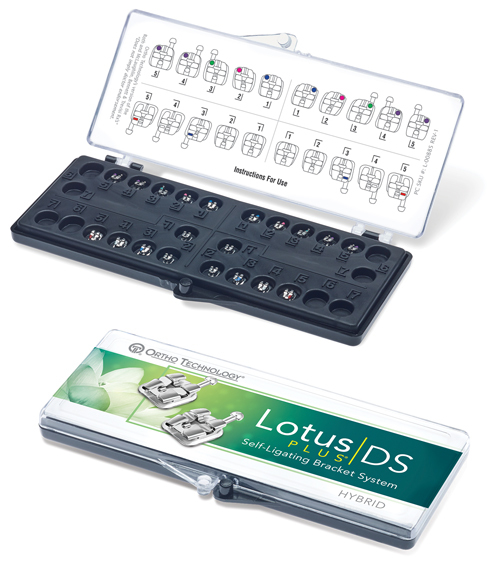 Featuring one-piece strength, high slot manufacturing tolerances, a unique planar door design, and the lowest possible SLB profile, Lotus Plus DS stands as one of the most advanced and versatile SLBs on the market. Familiar Mini-Twin Design – With a deep v-channel and vertical scribe line for accurate placement. 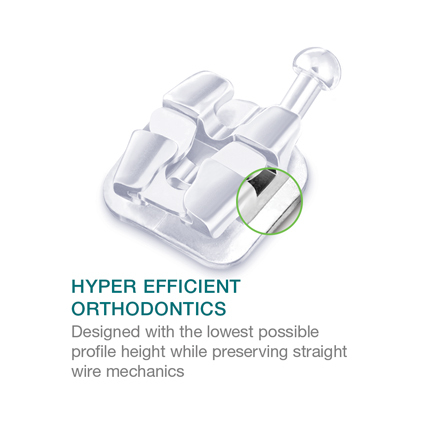 Intelligent Hook Design – Hooks are at a 15° angle to reduce interference with gingival tissue. 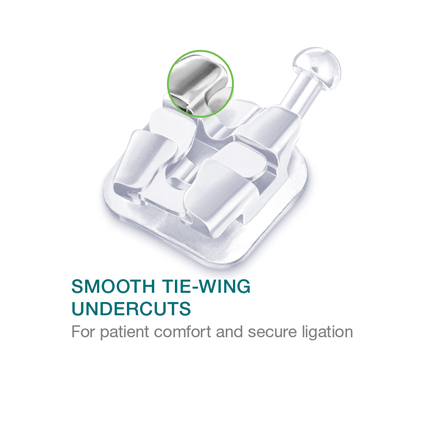 The ball hook is further rounded to minimize soft tissue irritation and improve patient experience. Micro-Etched Base – With mushroom shaped pylons for 40% higher bond strength than a standard mesh pad. Open Design – Allows for maximum patient hygiene. 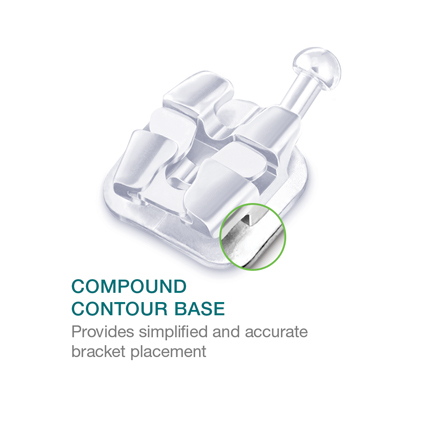 Cuspid Base – for greater surface area and accurate fit. Features an adhesive overflow catch in the center of the base for reduced flash clean-up. Mushroom shaped pylons – which grasp the adhesive and provide 40% higher bond strength over standard 80-gauge mesh pads. 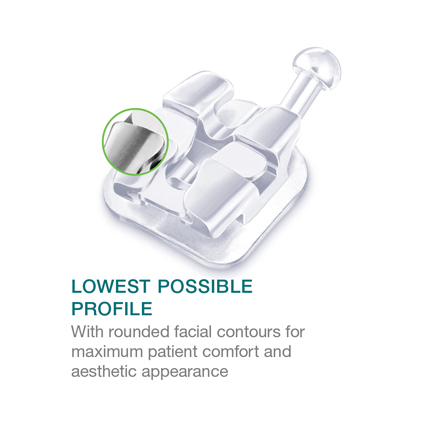 The Lotus Plus DS Base – combined with a simple, low-force opening door, brackets will stay on throughout the length of treatment. © 2018 Ortho Technology, Inc. Lotus Plus is a Registered Trademark of Ortho Technology. 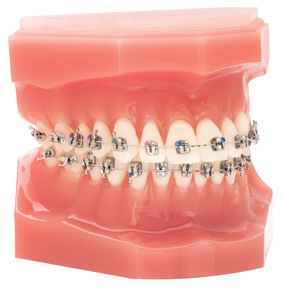 The Ortho Technology versions of the Damon Rx, Roth Rx, and MBT Rx are not implied to be an exact version of any other system, nor do we claim any endorsement of the respective doctors. Damon® is a registered trademark of Ormco Corporation; Roth® is a registered trademark of Roth Licensing LLC; and MBT® is a registered trademark of 3M Company. *For Full Prescription Disclaimer Information, Click Here.